BBC Panorama was given a Church of Scientology International statement to air on their Scientology program. In the interest of fair reporting, the entire statement, unabridged and unedited, exactly as it was provided to the BBC is available here. 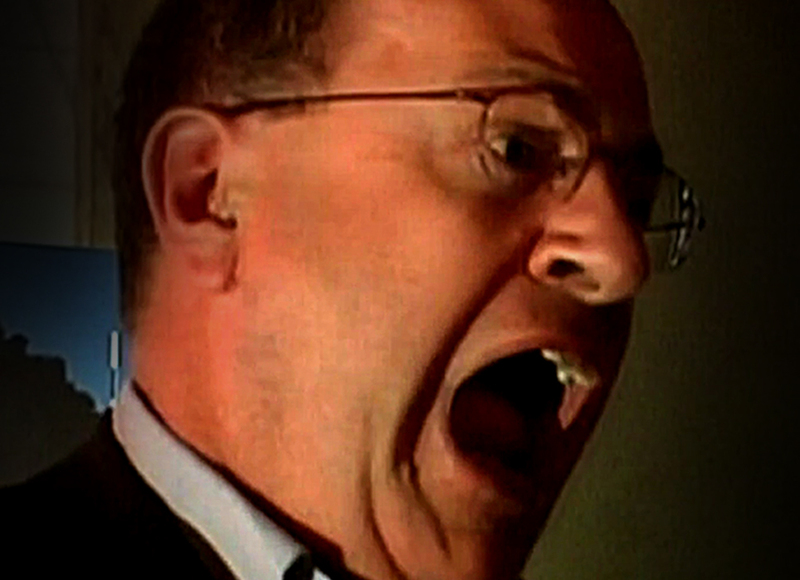 Since 2007, Mr. Sweeney has made various statements as to what caused him to lose his temper while interviewing the Church spokesperson. Here you can see what his primary source, Mike Rinder, said about the incident in 2007. After plummeting into disgrace, a BBC reporter and the self-admitted perjurer he hired will try anything to regain even a vestige of their former status. One wonders, too, why the BBC from its highest corporate officers would allow John Sweeney to assemble a cortege of disgraced and broken individuals, clearly with an axe to grind, to do his bidding and all at the expense of the British taxpayer. Sweeney’s irrational, incoherent rant revealed him at his blustering worst. Thank goodness there was someone there to film it or Sweeney—and the BBC—would never have admitted to this deplorable behaviour. “I am hugely embarrassed. I look like an exploding tomato and shout like a jet engine and every time I see it makes me cringe. With any veneer of restraint stripped away and his personal demons laid bare, Sweeney that day plumbed new levels of embarrassment not only for himself and Panorama, but for the BBC. The meltdown drew worldwide attention, endless parodies and more than 1.3 million YouTube hits. Mainstream TV commentators were shocked at Sweeney’s behaviour, and they had a field day reporting it on virtually every English-language news network around the globe. Incredibly, even after the prestigious British investigative journalists’ Frontline Club dismissed Sweeney from its membership, and after journalism classes in three UK universities presented the Sweeney model as a worst-case scenario even for tabloid stunts, the BBC kept him on. Still, Sweeney was not fired from his job, nor—amazingly—was he banned from going near Scientology as a subject. Instead, he was given BBC support to carry out a strictly personal agenda—at great expense and gross misuse of licence fees exacted from the public. His new mission: to regain his former reputation by somehow expunging his record and making it seem as though someone else—other than Sweeney himself—was responsible for his unprofessional conduct. And for revenge, it appears he intends to blame it all on the Church of Scientology. Perhaps Sweeney is not alone in that BBC has a host of similarly unprofessional reporters. In the “Crowngate” affair, BBC staffers edited footage of the Queen to depict her leaving a photo shoot in a huff, ostensibly after being asked to remove her crown. Nothing of the sort happened, and the Queen was reportedly “furious” at the deception. “We do have a lesson to learn,” admitted Thompson, and reportedly took the course himself. In 2008 alone, the BBC was fined £495,000 ($773,000) by Ofcom, the British communications regulator, for its ethical breaches. In August 2009 it was disclosed that a BBC camera operator had pretended to be a member of the public and had thrown the results of a game show. Investigation by the Editorial Standards Committee (ESC) of the BBC Trust unearthed 21 separate breaches of editorial guidelines involving three different shows. The pattern became obvious when BBC One, the flagship channel, was shaken by another scandal involving outright fakery. For a “documentary” that aired in July 2010 about the Lawrence Weston neighbourhood of Bristol, camera crews had filmed menacing gang members, their identities obscured by hoods and scarves, hurling epithets at police officers. The only problem with the footage as broadcast: It was reportedly shot by a BBC Panorama crew in a neighbourhood three full miles from the subject of the documentary. The programme in which Sweeney “reported” on the Church of Scientology three years ago was as absurd as it was abhorrent—and no wonder, considering the ethically bankrupt "newsgathering" methods employed. Into the 2007 maelstrom came the Sweeney “meltdown,” a symptom of the disease that afflicted both the BBC and its Panorama show—then and now. First were the outrageous questions, intended only to inflame, prefaced with the likes of “some people say” to imply Sweeney had an actual source for his spurious allegations. “Some people” is not a “source” in any real journalist’s lexicon; it’s a sham and the mark of a dishonest tabloid reporter. Next came the utter mockery of an actual reporter’s craft by staged and re-staged events—cheap gimmicks like knocking on delivery doors and fire exits and pretending Sweeney was barred from entering various Scientology buildings. Security cameras recorded the bizarre and senseless scenarios of Sweeney marching up to, over and over again, seldom-used, untended “back doors” and pounding righteously on them—until his camera crews finally got their shots just right. And most significantly, of course, was that shameful blowup—and blowout—when interviewing the spokesperson of the organization he was ostensibly “investigating,” the moment that brought Sweeney and the BBC international infamy. Had the Church not videotaped Sweeney to document his actions, he likely would have denied that the incident ever happened—just as he would have denied staging events for his cameras. But unable to lie his way out of the hysterical meltdown viewed by more than a million, Sweeney concocted a ludicrous scheme: Blame it on the Church. Sweeney cooked up a 2010 Scientology story, wheeling out not only Mike Rinder, but Rinder’s “best good buddy” and now “corroborator,” the violent, vengeful anti-Scientologist, Marty Rathbun—like Rinder, a disgraced and dismissed apostate. Rathbun’s latest accomplishment? Getting himself arrested on drunk and disorderly charges in a city most tolerant of alcohol and bad behaviour—New Orleans. Thus, a devil's triangle was formed: Sweeney, enlisting a “source” to speak for his agenda; Rinder, seeking a forum for revenge; and Rathbun, enjoying the role of “corroborator” (and, since July, hoping no one notices his rap sheet). Rathbun’s latest accomplishment? Getting himself arrested on drunk and disorderly charges in a city most tolerant of alcohol and bad behaviour—New Orleans. 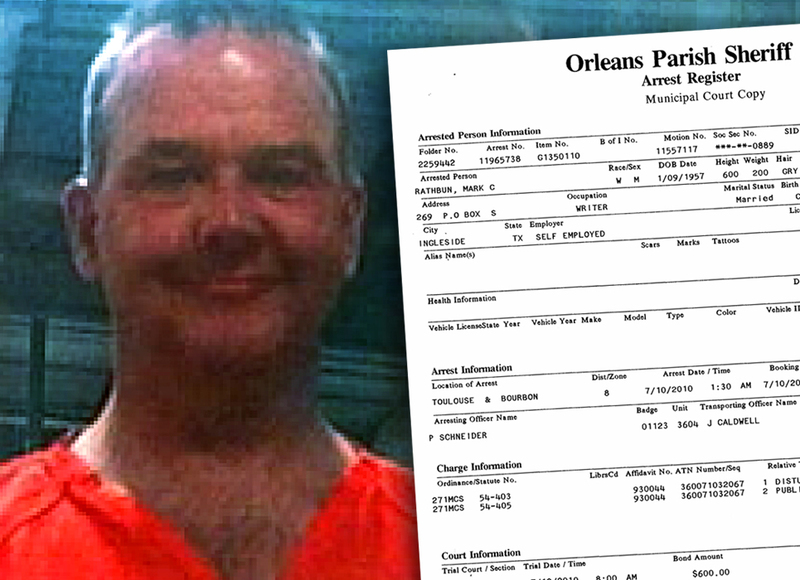 Even the “we’ve-seen-it-all” French Quarter police could not and would not tolerate Rathbun’s conduct on July 10, 2010. Mounted officers threw him to the ground, carted him off and tossed him in jail. Who is this source, Mike Rinder? The former spokesperson had long before been removed from his position of authority and inexplicably walked away from his religion, his job, his wife and his children in 2007. 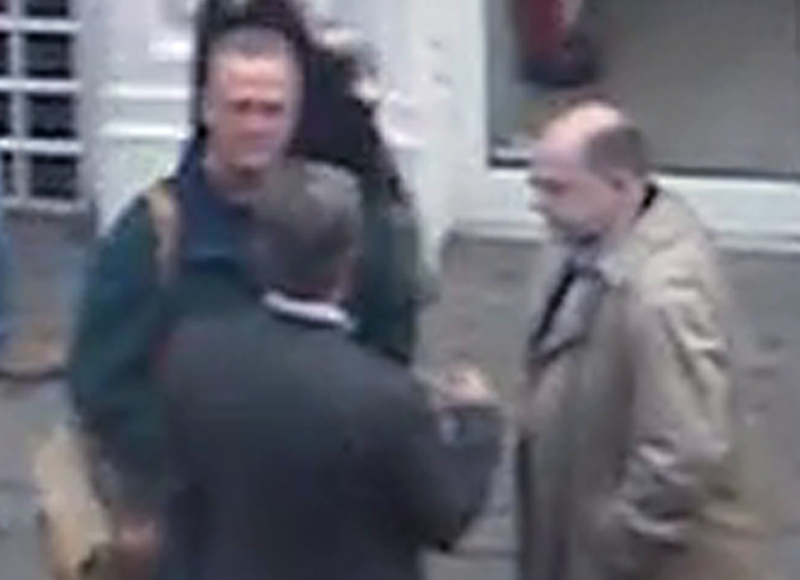 Nearly three years later, in April 2010, seeking to safeguard his place as a Panorama “source,” Rinder decided to pull his own Sweeney-style stunt. 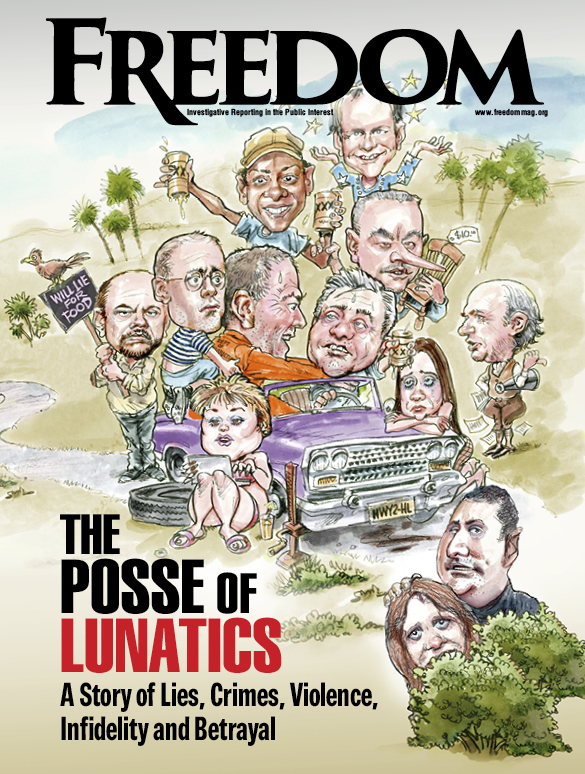 Rinder, Rathbun and two minions showed up at the Clearwater religious retreat of the Church of Scientology with tape recorders and cameras rolling. Rinder demanded to see his son—the son he had completely ignored while the young man battled and survived a rare and highly aggressive malignant cancer. The son sent an unmistakable message that he had no desire to see the man who was attacking the religion of the entire Rinder family. A short while later, Rinder’s brother flew 10,000 miles from Australia to Florida to join Rinder’s estranged wife and adult daughter to attempt to contact and help Rinder. But when Rinder saw his family approaching, he barked that he was on the phone with John Sweeney, talking about them. Then, in a stunning display of violence against the family he had deserted three years earlier, Rinder turned the well-intentioned family intervention into injury for his former wife. She said of that day, “Mike’s hands were gripping my arms so tightly I could feel his fingers actually digging into my bones.” She was so severely harmed that an ambulance was called and a police report filed. True to form, Rinder “tipped off” a local tabloid paper about the incident, fictitiously casting himself as the victim. Though not known to the Church until years later, Rathbun is a suborner of perjury (one who convinces others to lie under oath), a liar, and best remembered for violently attacking none other than Mike Rinder. Apparently Rinder and Rathbun are willing to put past grudges aside to take revenge against the Church. And who better to confirm Rinder’s lies than his angry and vengeful, now “best good buddy,” Marty Rathbun? These include “doorstepping” (staging ambush interviews on unsuspecting victims), inventing purely fictitious stunts, fraternising with religious detractors while consistently treating members of a recognised religion with contempt, and engaging in outright religious bigotry. The Church, interested only in fair and accurate reporting and willing to cooperate at every turn—as long as Sweeney, who clearly disqualified himself due to his past and present chicanery, was removed from the project—went to great lengths to provide a wide range of factual information to Panorama and BBC executives. More than 50 letters were sent to the BBC providing information about the Church of Scientology and its activities and expansion, as well as detailing infractions by the Sweeney travelling circus. All letters were disregarded. Requests to meet with Church representatives were repeatedly refused. Sweeney was not removed from the programme. Further, the BBC repeatedly refused to provide specifics of any of Sweeney’s allegations. Instead, in a classic circle-the-wagons manoeuvre, the corporate cabal defended Sweeney’s operation, thereby condoning his expensive and corrupt no-facts, no-substance attempt at self-redemption. The public is now waking up to this latest scandal in gross misuse of BBC-extracted licence fees—and John Sweeney, Panorama and the BBC must bear the responsibility.